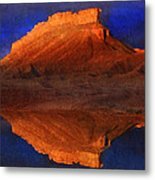 Reflections Of Miner Butte by R christopher Vest - 8.000" x 6.750"
Reflections Of Miner Butte art print by R christopher Vest. Our prints are produced on acid-free papers using archival inks to guarantee that they last a lifetime without fading or loss of color. All art prints include a 1" white border around the image to allow for future framing and matting, if desired. Beautiful and intriguing image. F&L! 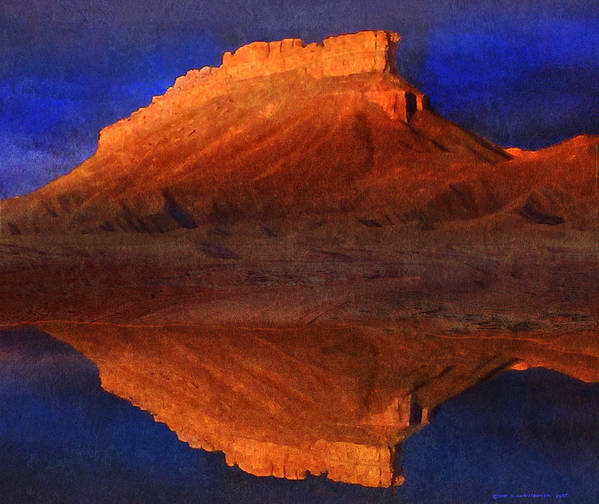 Congratulations, Chris, your magnificent and stunning painted photo montage of a reflected butte been featured by the Philanthropic Artists For A Cause Who Donate FAA Proceeds or Original Art group! Thank you for your support of your Running Dog Ranch and other animal welfare organizations - liked! 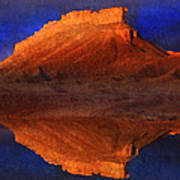 reflections of a huge sandstone butte are mirrored on a still pond. the setting sun catches just the tip of the classic southwest mesa. orange sandstone contrasts nicely with a deep blue sky. i have a long history of taking pretty mediocre bird photos. with crummy lens and lack of patience, i've put together bird images from israel to alaska that are breathtakingly dull and out-of-focus. but i do have photoshop skills, so my choice was either to cut my throat in photo envy and self-loathing, or breath new life into the bad photos with considerable "painting", merging and touch-up. 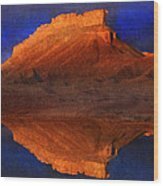 and so voila: part painting, part photography... all profits go to maintaining my own animal rescue facility called "the running dog ranch" in SW colorado.